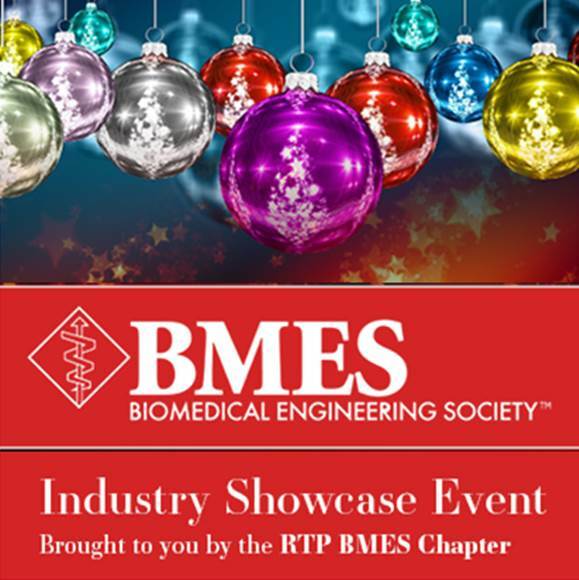 Meet and greet with medical device, diagnostics, and biotech organizations. 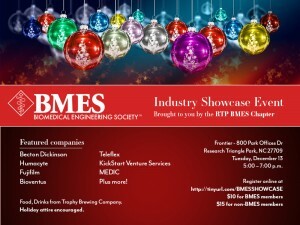 Industry showcase will feature over 20 companies! Drinks from Trophy Brewing Company and food will be served. Holiday attire is encouraged! 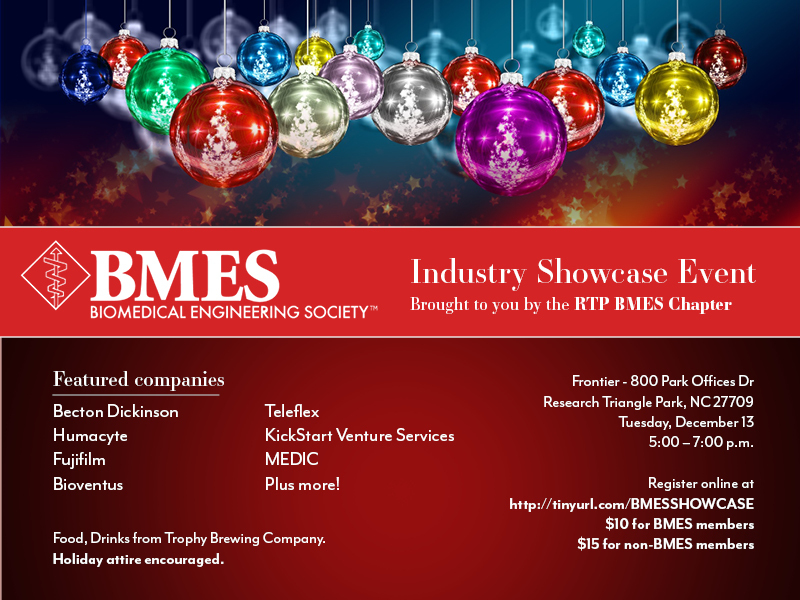 Featured companies: Becton Dickinson, Humacyte, Fujifilm, Bioventus, Teleflex, KickStart Venture Services, SunTech Medical, plus more!